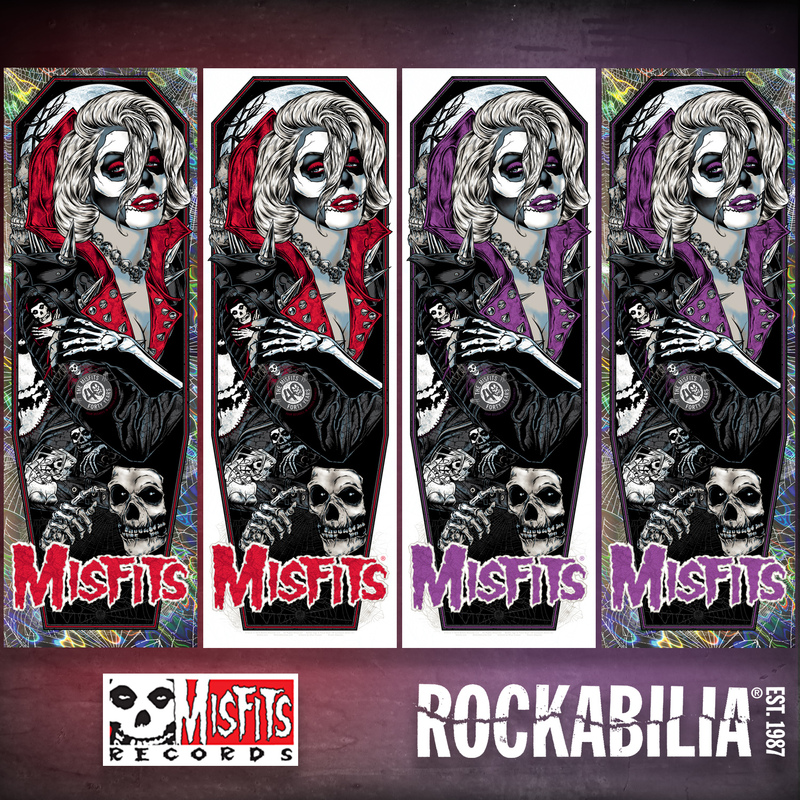 Misfits Records and Rockabilia are proud to announce the release of these truly incredible new screen-printed Misfits posters entitled “Ghoul Fiend ’18” by artist Rhys Cooper. Two different colorways will be available THIS WEDNESDAY, February 14th at 12 noon EST, while supples last! Be warned Fiends, these prints are not only drop dead gorgeous, but highly limited as well, (138 of each colorway screened on paper, and 20 of each colorway screened on holographic foil, never to be reprinted). Check out the images and links below. “Ghoul Fiend ’18” by Rhys Cooper 12″ x 36″, 6-color screen-print poster, with metallic inks on Lava Holographic Foil Paper. Hand-numbered. Limited edition of 20. $100 ea. (Limit one per customer). Available in the Misfits Records Online Store starting at 12 noon EST on Wednesday February, 14th—while they last! Order exclusively at the Misfits Records Online Store while supplies last, starting at 12 noon EST on Feb. 14th! Order exclusively at the Rockabilia.com while supplies last, starting at 12 noon EST on Feb. 14th!